Aluminum Roofing Service Ontario - Free Cost Estimate - Pro Roofing Inc.
Aluminum roof is a priceless investment in your home. Lightweight, corrosion resistant, wind resistant and long lasting - there are few materials that can match the quality and durability of aluminum roofs. Aluminum metal roofing offer a lifetime alternative to materials such as asphalt shingles. Aluminum is extremely resistant material and can withstand the harshest conditions. It is not coincidence it is used for making airplanes - strong enough to take the abuse aircrafts are exposed during service. For instance: extreme cold on high altitudes, ice, water, wind and snow. It is a metal that allows us to fly safely from continent to continent, and you can be assured it is the material that will last your roof a lifetime. Aluminum will also help eliminate unnecessary expenditures in roof maintenance and frequent roof repairs associated with asphalt roofs. The main advantage of aluminum roofing panels over steel is that they can be used in coastal areas with high concentration of salt in the environment, which can make galvanized steel susceptible to corrosion over time. Impervious to insects and fungus. Shingles use an interlocking design that has proven durable through decades of hot summers and cold, snowy winters. Shingles interlock into each other on all four sides until the entire area is roofed. Aluminum shingles weight around 40 - 50 lbs per 100 square feet. 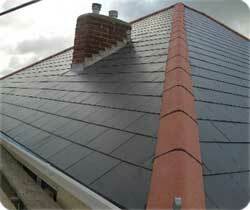 Conventional asphalt shingles weight 5 to 10 more than aluminum ones. Being fully supported by the roof's sheathing, they can be freely walked on. There's also little noise when it rains since shingles lie on tarpaper, and plywood. Aluminum roof installed by professionally trained installers, and backed by a true lifetime warranty, offers beauty, protection and a piece of mind. Get in touch with Pro Roofing today to get aluminum roofing cost estimate. 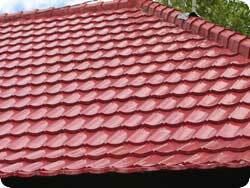 We offer aluminum roofing Ontario and aluminum roofing Toronto (GTA). I had great experience with Pro Roofing. Vladimir, the owner came out to confirm the plans to add a new roof, gutters and insulation to our home. Vladimir is a very thorough person, and by the time they left, there were no doubts as to what exactly the costs would be. I have many people working on different parts of the house for me, and it is the first time I can say I actually enjoy the process. I am very impressed with the quality the employees at this company. Ivan, the person who took care of everything on the site, answered all the questions in an immediate manner, and not once I felt like I was bothering him. Both are good natured men and it was a please to have them here every morning. Pro Roofing has done three buildings for us. In all cases we went over the details of what exactly my concerns were. Vladimir paid close attention to what I said and laid everything on the paper before moving forward with the projects. The roofs were installed and we are satisfied with the work. The crew themselves are friendly and polite. They are very neat. I highly recommend the company.